Yes Coco-Betaine and Cocamidopropyl Betaine are different chemicals. Google stuff and a fair proportion of ‘research’ or information that you uncover will be either incorrect or completely rubbish. The above is just one example of how this incorrectness infiltrates our conscience and leads us astray. There are more ‘hits’ telling me that coco-betaine and cocamidopropyl betaine are the same than information confirming that they are indeed different. As pretty much all google searches for these two chemicals have been confused now I thought I’d put everything of interest on here so that you can see the difference. In a nutshell the two have different chemical structures as I will explain below for those interested. The Coco-Betaine is a natural surfactant that can be used in organic formulations as long as it has been manufactured in an acceptable way, it contains no ‘synthetics’. 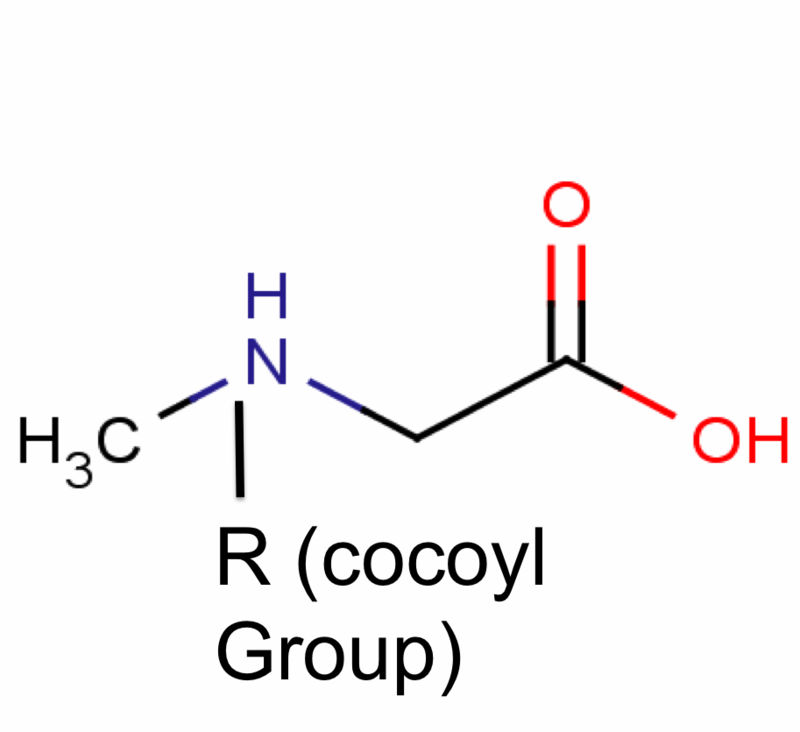 Cocamidopropyl Betaine is always produced via a synthetic process although the coco part and the betaine part are natural. Coco-Betaine is more natural but it is also more irritating. Coco-Betaine is harder to track down than Cocamidopropyl Betaine. Both can be used in shampoos, body wash and other cleansing formulations. Hello everyone and especially the chaps commenting below. I do seem to have copied and pasted a mistake with this structure which is not helpful for anyone and not exactly my intent when trying to stop mis-information spreading on the inter webs. In any case the structure above should be changed so there are two CH3 groups coming off the N+ and not two more nitrogens. So, I’m sorry about that but while it was kind of annoying and incorrect the main point of the article remained correct in as much as Cocamidopropyl Betaine and Coco Betaine are two separate chemicals and that suppliers trying to sell the amidopropyl betaine off as the coco are incorrect and yes, that has been happening. The propyl: Based on three carbons (Methyl =1 carbon, Ethyl = 2 (like ethanol), Propyl = 3). Below is a very simple representation of a propyl group. The betaine bit: Betaine was first isolated from sugar beet – that’s why it’s called ‘betaine’! So coco-betaine is a bit shorter (no propyl group) and is also missing the ‘amido’ functional group. So what do they do in your formula? Let’s let someone who sells both chemicals confirm that shall we! It is hard to make good decisions about a products chemistry without some chemistry knowledge and it is doubly hard when people who are just ‘having a go’ post stuff that is wrong – usually without knowing. I hope that this has helped clear up a little issue for you – it has for me. So no, Coco-Betaine is not just shorthand for Cocamidopropyl Betaine. hi amanda, which one can cleanse hair of silicones in order to not have to use a sulfate containing shampoo, i have heard that one of them or maybe both(I’m no chemist, I’m a nurse lol!) can cleanse silicone. thanks. Silicones: There are lots of different types, some that are more substantive than others. Most every-day type shampoos use silicones that can be washed out with a decent shampoo. SLS/ SLES/ Betaine systems are those types of shampoo as they are what we would call ‘harsh’ in Google language but ‘deep cleansing’ in cosmetic science language. Blends of these surfactants have good wetting and cleaning power and can disrupt the bonding of the silicone to the hair as the silicone is often cationic (positively charged) and the SLS/ SLES is negatively charged. The betaine is amphoteric and can flip between positive and negative charge. Shampoo that cleanses without being too ‘harsh’: To achieve this you will need to maintain the chemistry above but possibly do it using less-efficient surfactants such as Sodium Cocoyl Glutamate or similar. These are less likely to irritate a very sensitive scalp. Cocamidopropyl Betaine VS Coco Betain – both work the same but the Cocamido is a larger and milder molecule that is better tolerated for dry or problem skin. Coco Betaine is somewhat harsher. Coco is the natural version, cocamido is synthetic. Also keep in mind that there are non-silicone 2-in-1 conditioner agents present in shampoos (Quats, polyquats) that will also build up in some hair. They can be cleansed using the same method here. Much that is said about silicones in the hair is outdated now as technology has moved on significantly in the last twenty years. My 1.5 year old son has severe eczema and is allergic to cocamidoproply betaine (amongst several other chemicals). Should we also avoid products with coco betaine in them? The advice I’ve got is to look at replacing Cocamidopropyl Betaine/ Coco Betaine with Cocamidopropyl Hydroxysultaine as that has no chloroacetate residue and is much milder. I’m going to start that process of converting customers over now and will be working with the surfactant manufacturers/ distributors to see if we can get some quantifiable results to help people with eczema make more informed choices. If you google the chemical name in the ‘shopping’ category you can find products that are already using this. The only thing I’d check before assuming the whole product is safe for you if it contains this is what other ingredients are present including fragrances and preservatives. Good luck! I’ll be posting more on this soon. Some products have just ‘Betaine’ in the products listing. So does this mean ‘Cocamidopropyl Betaine’ or ‘coco Betaine’ ? To complicate things further there is also an ingredient called ‘Betaine’. It is a humectant that also helps enhance skin penetration so it could actually be just that. If in doubt you could ask the brand owners but if you don’t want to do that you’d probably be best assuming they have labelled it right and it is the humectant rather than the surfactant. Because it is harsher. 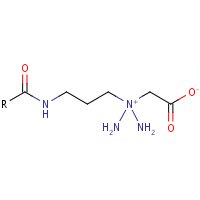 The Amide group was added to the structure to make it slightly less potent – all surfactants are skin irritants to some degree because they degrease the surface, in modifying the structure we can make them slightly less active and stripping. So coco betaine is more stripping as it is a harsher surfactant because of its un-modified structure. Is CAPB easily wash off with a little water or even no water ? I mean, when i put it in floor cleansing liquid, do i have to rinse the floor with much water? Or do i have to clean the floor twice with fresh water? The surfactant is designed to use diluted into a mixture and washed off with water. It is high foaming and can even be a foam booster so it might not be the right choice to use neat on a slippery surface like a floor. For that application we tend to use specially designed low-foaming non-ionics which hardly foam at all. Can you give a suggestion for floor cleansing surfactant? Wow phi loan! the conversation was about chemicals for the skin, not your floor! Mop again if the floor is sticky right? I’m so sorry if my question makes both of you feel unplease. It is actually that I have purchased a floor cleansing bottle. 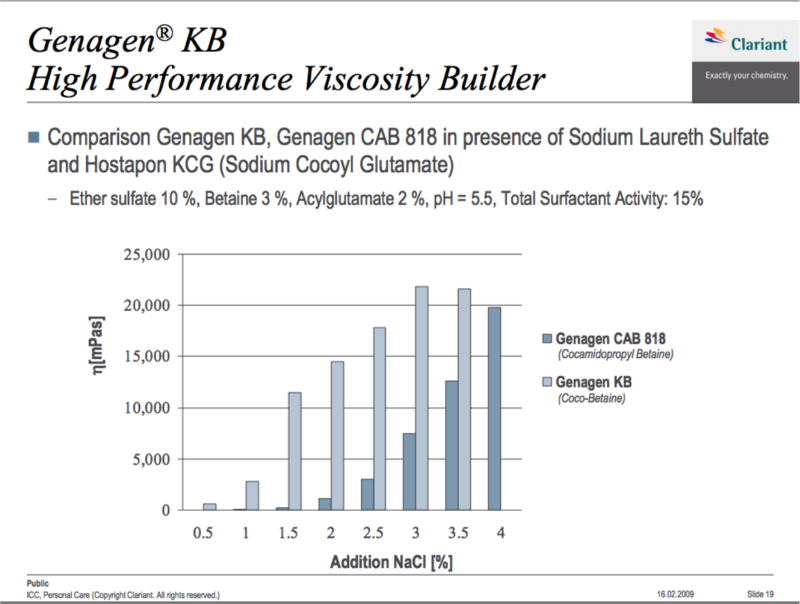 Its ingredient consists of CAPB as the only surfactant. And the sale man told that it is so safe and skin friendly when using surfactant for skin in household cleasing product. I try to figure out and I have already had your sincere answer. Thank you so much for that ! Hey not at all Phi! I was happy to answer, I took it as a legitimate question so please don’t feel bad. ok I am fine. Thanks again for make me clear! That is so helpful to me. hi amanda wondering what functional groups are present in cocamidopropyl betaine? Hello! I am trying to look for a shampoo that has no SLS. And I found this company called “Trully Organics.” They used organic and all-natural ingredients, so I purchased their shampoo and love it. Although when I read the label, the shampoo includes these three ingredients (Sodium CocoSurfactant and Cocamidoprpoyl Betaine). I am not a chemist nor do I understand the interrelationship between different chemical and how they work together to produce a shampoo. But from what I have reserached that these 2 ingredients are synthetic surfactant and are harmful to our bodies. I have messaged them and they said, “All of the surfactants we use are all natural organically derived from coconuts. They’re are many different versions on the market which may be synthetic but not ours!” Is this true? Can both ingredients be produced naturally? Sodium Cocosurfactant is not an INCI name so it is difficult to know exactly what that is. I’d go back to the company and ask them for the INCI name for that ingredient so you can make a more informed choice of whether you want that product or not. Cocamidopropyl Betaine is not 100% natural as described in this article. With regards to the comment about being derived from coconuts that’s a bit of a feel-good statement that can be true of many surfactants. The backbone (or bulk) of a surfactant can be made from any feedstock including coconut, palm or petroleum. Usually the feedstock will be whatever is cheapest and easiest to work with but some companies do try to sell on ‘green’ as in ‘sustainable’ platforms and might choose coconut over the others. But a surfactant is more than just the backbone, it also contains functional groups that make the ingredient surface-active. The feedstock that provides this functionality is what matters and often it is ethylene which is often from petroleum although these days more companies are producing ethylene from plant material. So it is complex. The bottom line is that yes you could get a surfactant that people on the internet claim is ‘nasty’ that is actually 100% renewable and ‘safe’. On the other hand you can get surfactants that the internet claims are good and that can be used in organics that are actually quite harsh on the skin and perform poorly on the hair. So it really depends on your situation and what you are trying to achieve. On a technical level you are correct but on a practical level- not do much. No one that makes cosmetics or shampoos or body washes wants to use a product that’s more irritating to the skin . So most would use cocamidopropyl betaine. Also most companies selling cocobetaine and or cocamidopropyl betaine have several versions available – look at all the versions just Stepan has . Most every day ingredients sales reps and home chemists use the two names as synonyms . My hunch is that cocobetaine was an early product that was modified later adding the amido and propyl to improve skin feel less irritation. Well of course you are right Mark only not everyone has access to the information that you and I might have – I used to be the Product Manager responsible for Stepan (and way before that I looked after Akzo too). I wrote this article in response to me trying to locate Coco Betaine for a client who assured me that it was easy to get and better than Cocamidopropyl Betaine. I tracked it down to a small-lot supplier here only to find that they were selling Cocamidopropyl Betaine as Coco-Betaine thinking that Coco-Betaine was just a shorthand way of writing the latter. I wrote the blog post because I wanted a clear piece out there confirming that these are different chemicals and that while one is more natural (coco-betaine), it isn’t less irritation. Irritation score testing is something that only the big brands do. Smaller brands probably don’t even know how to go about that sort of thing and are actually very likely to put onto the market products that can irritate over continued use. Thanks for bringing it up though as it is always good to have commentary on these articles. Good accurate!!! Lubrizol’s CC O thickener works much better with the semi synthetic betaine. That’s good information to have. Thanks! I’ve been trying to make sense of the apparent confusion of these two products recently too, thanks for the article. Its not been easy tracking down molecular structures for them via the internet. From what I could gather however, there appears to be some issues in the article above. The molecular structure in the article for cocamidopropyl betaine incorrectly shows 2 amine groups attached to the quaternary amine. These should be methyl groups instead. And the quaternary amine in the coco betaine structure should carry a positive charge. Hi Kurt, Can you draw what you think the correct structure should be? I haven’t drawn the whole structure in one step, I’ve broken it down based on the parts that are used to make the final molecule so that people can identify what comes from where (in terms of sourcing). The Genamin structures are from the manufacturers of those ingredients so I’d assume they know what their chemicals look like but you never know. I just want to see what you are thinking so I can see if it makes better sense that what I’ve done. Hi, Kurt is right. 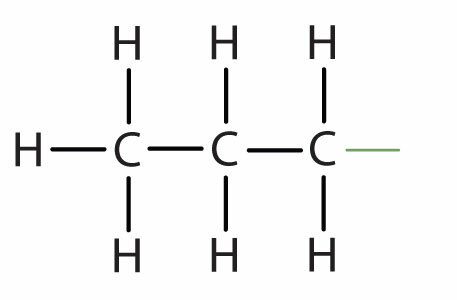 The molecular structure of cocamidopropyl betaine is not correct. The quaternary amine has two methyl groups instead of two amine groups. The molecular structure of the betaine (trimethylglycine) however is correct -> here the quaternary amine has three methyl groups. The molecular structure of coco betaine also is not correctly displayed. The quaternary amine binds two methyl groups. That’s because they derived from betaine where the quaternary amine always have three methyl groups -> trimethylglycine.The displayed structure of Coco betaine here is more similar to sarcosinate-based surfactants. Over a year ago since someone told you that your chemical structure was wrong and it’s still not been corrected. No wonder there is so much junk science and belief on the internet and this from a supposed “Professional Cosmetic Chemist”. 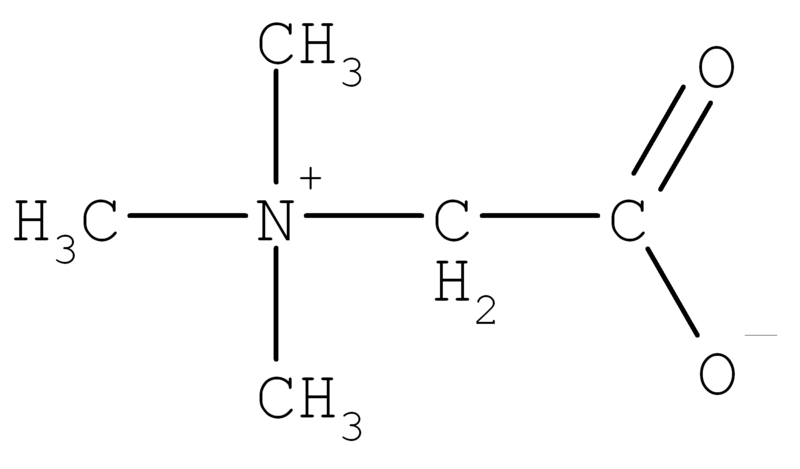 Take a look at your structure for betaine and you will see two CH3 groups on the quaternary N. Now look you Cocamidopropyl betaine and you will see the two amine groups (NH2) on the quaternary N. Do you suppose you converted carbon atoms into nitrogen atoms when reacting??? if so the next noble prize will be yours. As to your first comment “Google stuff and a fair proportion of ‘research’ or information that you uncover will be either incorrect or completely rubbish” yes, this page is a classic example. Except you are “having a go” posting stuff that is wrong while claiming to be a “Professional Cosmetic Chemist” and don’t make any effort to correct errors when they are clearly pointed out to you. Are you really a chemist? Do you understand chemistry? You write like you cared about people putting rubbish on the internet. Don’t you think you should make every effort to keep your website correct? Hi Ian, thanks for the very harsh comments. Yes I really am a chemist but I don’t claim to be a genius or always right. I have made a note to look over this whole thing again tomorrow as today I’m out but if I have made a mistake I’ll correct it. With regards to your tone I can only assume that you have read my blog thinking that I think I am trying to paint myself as the new chemistry messiah and that’s simply not true. I am trying to get people to think and thinking (and telling me) I’m wrong if/ when I am is all part of that. What I don’t tend to do is re- write things as then none of the comments make sense and people can’t learn. What I’ll do here is make an update at the end of the article if I need to, to address your points. Finally while I do appreciate the feedback I don’t appreciate your approach. It’s very rude. I believe Julia has the structures drawn correctly in the link in her Feb 18, 2018 post. I believe the R- groups (“cocoyl residues”) should just be alkyl chains derived from coconut oil’s fatty acids, therefore most predominantly -C12H25 and -C14H29 (but other even-numbered lengths also between C8 and 18). Hello and thank you for the information. It was VERY informative. One of my questions is i have been thinking of making a toothpaste for my business. Considering i know that all surfactants are somewhat of an irritant, i was thinking of replacing SLS for either coco-betaine or Cocamidopropyl Betaine that is commercially available. Are these surfactants a milder and safer alternative than SLS? This article is so helpful, I’ve only found 2 other articles saying what your saying. That coco betaine and cocamidopropyl betaine are not the same!!! Sadly many Many distributors market them as the same, with coco betaine being just an abbreviation instead of a completely different chemical makeup and products. I am in search of coco betaine and am having such a hard time because of these other misinformed distributors. The only place I’ve found to buy it is from a company in India with the correct INCI name. My question is do you know of other places I could buy it from? Thank you. In small quantities no, I can’t get it either. Clariant is still manufacturing but I’m not sure that any small distributors are buying. The biggest issue being that while it is more natural, it is also more irritating and less foamy. La Roche-Posay’s Toleriane Caring Wash is said to use this yet is said not to be drying or irritating. Irritating ingredients can be formulated into safe and non-irritating bases, it’s all a question of balance. Thank you so much for this article…… several months ago I started experiencing an irritating rash on the back of my neck; and the tips of my ears were dry and flaky. I was also getting a sudden outbreak of psoriasis, therefore, all of my issues were lumped into the psoriasis category. I started thinking that my neck and ears were something else, and decided to check into a possible allergy to a new shampoo. My new shampoo listed both Coco-Betaine AND Cocamidopropl-Betaine in the ingredients. As you said, most hits indicated they were the same, so my question was, “why would this product list them both”. I am hoping I have hit the jack-pot in your article. I quit using that shampoo 5 days ago, and although I still have a rash, I feel that it is starting to clear up. (I certainly hope so, because the itching and burning have been miserable!) Thanks, again! It can take a while to clear up inflamed skin so I’d go easy for a while. Also check the preservatives used. The scalp area can be more reactive than other parts of the body due to the active hair follicles being mini delivery ports, taking some chemicals in the hair products deeper into the skin than they otherwise would get. This is not usually a big issue but it can be if the product you are using contains ingredients you are reacting too. If the reaction was local it might be an irritation rather than an allergy. If it was a general reaction, that could be a sign that you have an allergy to something and that should be checked by a dermatologist as that can get worse over time. It is quite difficult finding out exactly what causes a problem when you have one but at least it looks like you are getting somewhere. I’m very sensitive on my scalp to preservatives and fragrances so I know how much of a pain it can be. As I started reading labels, I found a lot of things with “coco” and “coca” in them that weren’t on the above list, so I looked at the hhs.gov website to see what these products were, and I discovered that in addition to all of the ingredients listed above, many of them have synonyms as well! Now I’ve gone down a rabbit hole. If A=B, do I have to look up (and reverse lookup) every B to see if B=C? or should i avoid anything that remotely resembles coconut oil? Thank you in advance for any insight you can provide. It’s been decades since high school chemistry, so I’m stymied. Thank you very much for the clarification of differences between coco-betaine and cocamidopropyl betaine! This is valuable knowledge and I greatly appreciate your time spent in posting this article. Keep posting because this type of information helps those of us researching for accurate ingredient information on the Internet. Thank you a lot for this complex but understandable explanation. 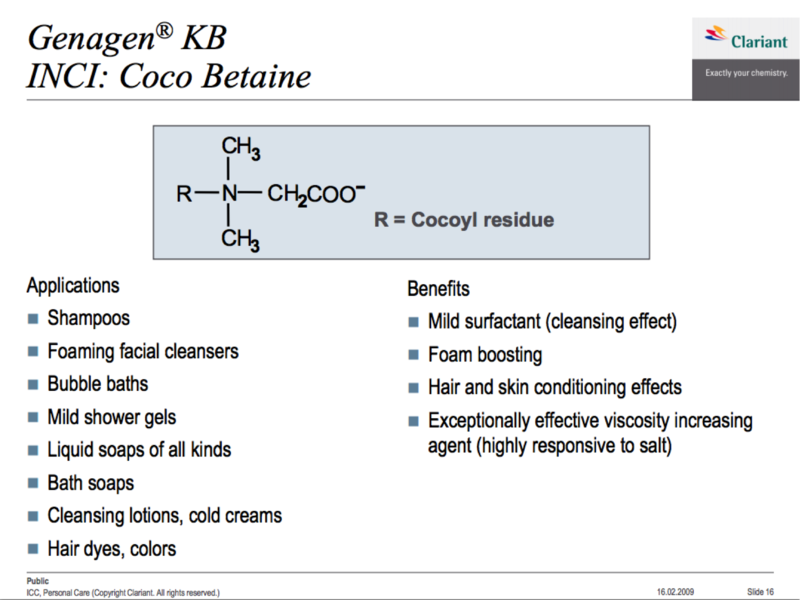 I unfortunately just discovered that I am allergic to Cocoamidopropyl-Betain and it is very helpful to know what similar sounding substances can be in a shampoo for me. Figuring this out on my own is not always easy, so thanks! So does cocomidapropyl betaine fit more more into the cleansing / surfecant group, or can it also be considered an emulsifyer and foaming agent in a product? It is pretty much just used as a surfactant for cleaning. Thank you Amanda. I suspect that where the ingredient appears in the ingredient list somewhat determines the strength, i.e, if way far down in the list, Cocomidapropyl Betaine might be more of an emulsifier/foaming agent if it was way far down the list, let’s say in a hair mousse, as opposed to a cleansing condtioner? A surfactant can boost foam, sometimes help with emulsification and act as a solubiliser. In a hair mousse it would boost foam. That isn’t so much a function of where it sits on the INCI list but more of what the formula needs and formulator selected it for. What do you mean by the “acceptable way” and what synthetic could be in it? Hi, I formulate a leave on conditioner for may pet. All of the ingredients i used are natural except CAPB, Can I no longer claim this product as “All Natural”? The word ‘natural’ is quite ambiguous in the Cosmetic world. I think you would have to think about what you were trying to achieve, what your marketing is really saying to clients and what the law (if there is one in your country/ market) states. Often people apply for third party certification such as Cosmos natural or Ecocert. If you can use ingredients like this in those standards and still be natural that should be enough. The only “natural” ones would be yucca extract or other plant extracts with saponins. If you look through the approved ingredients list for COSMOS (http://www.cosmos-standard-rm.org/verifmp.php) and search for it, you will find plenty of suppliers for Cocamidopropyl Betaine which are actually approved. Which is better for soft skin, coco betain or CAPB? The article covers the pro’s and con’s of each. Cocamidopropyl Betaine is milder than Coco Betaine so maybe use that as your starting point.